Posh Nails has been at the forefront since nail spas and salons started sprouting all over the metro. It has established credibility and consistency across its 30 branches nationwide since it opened up its flagship salon 12 years ago. 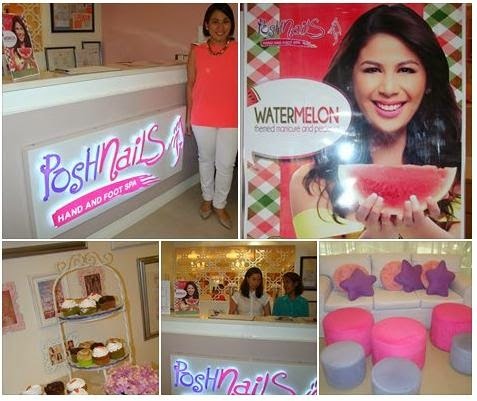 One of its newest branches is Posh Nails Perea near Greenbelt 5, owned by Jen Aquino. This location has been home for Jen Aquino, her sisters and their business partners close to a year now. They deem this Perea location as a best choice since Jen and her sisters are residents of condos nearby and people who work within the vicinity match their target market. They believe in the quality of service that Posh Nails gives its clients, as they have experienced it for themselves. As such, they are confident that Posh Nails can confidently cater to needs of metro women looking for some de-stressing. This branch is perfect for wives, moms and kids while husbands and dads go shopping nearby malls like Greenbelt and Glorietta. 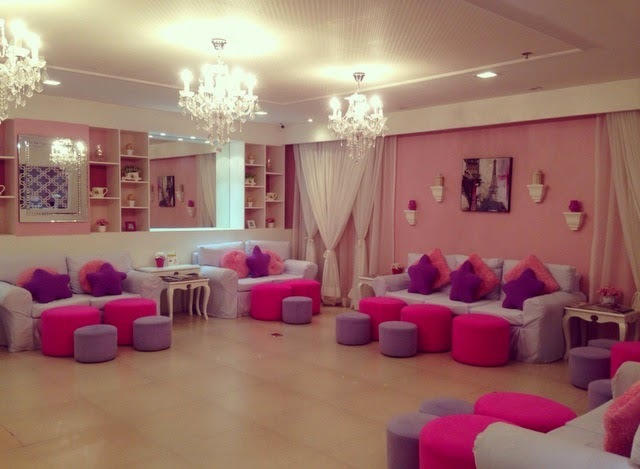 Posh Nails Perea is indeed a perfect place for mom-and-daughter bonding moments. Posh Nails offers a wide range of services other than nail grooming. Posh Nails is a one-stop as its services also include body massages, hair removal via wax, eye lash extensions and themed mani-pedis like the Watermelon mani-pedi, Lemon Twist and Strawberries and Cream. Don't be misled by the name Posh Nails, this place does much more than that! I tried their Watermelon manicure-pedicure and I'd say that I've never gotten a such better treatment anywhere else. For the first part, I was given a foot soothing soak, foot scrub and massage. Their technicians are pleasant and competent! This Watermelon-themed treatment started with a foot soak in warm water. The attending staff then gave me a scrub. Next, she rinsed my legs and feet. She then buffed my feet to remove those callouses. Foot reflexology came in shortly. I so love how my technician massaged my feet including my legs as I felt snug in my comfy chair! She did the same pressure point massages to my hands and arms. Their signature services include the following: Posh Spoiling which combines a mani-pedi with a soothing soak, scrub and massage. Another is the Basic Refresh which has a minty mask combined with a mani-pedi, soak, scrub and massage. Posh Nails uses Zoya, O.P.I., China Glaze, Essie, Deborah Lippmann, Orly and Cuccio imported nail lacquers . After the massage, she sealed it with a watermelon-scent spray and applied nail polish. And because this branch is also located in the heart of Makati's business district, Posh Nails stay open until 10PM to accommodate the needs of working women for pampering. Schedule your visit today and be pampered like a queen.